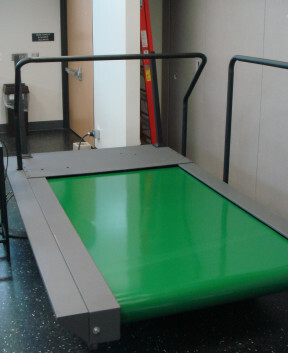 Photo is of similar treadmill. Standard Speed: 0.5 to 30 mph (48 km/h). Running surface: 24" x 72" (61 cm x 183cm). Requires 4-foot wide access during installation. Specifications subject to change without notice, dimensions are nominal.